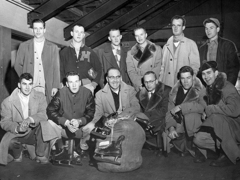 Spring break in Eveleth in the late 1940s and early ’50s didn’t mean Florida beaches or Caribbean cruises. Each year doors were locked and “Closed” signs were hung all around town as what seemed like the entire population packed up and caravanned south to St. Paul. The late-February destination of choice was an ice arena. 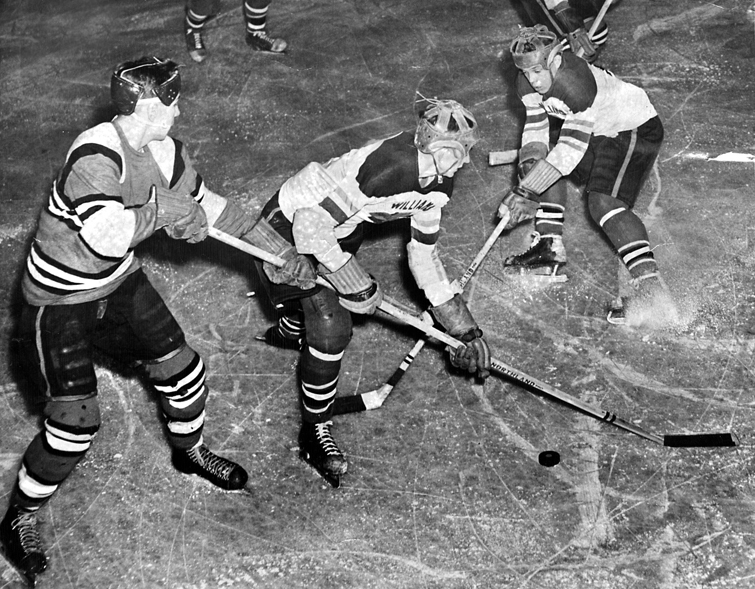 Eveleth, a town infatuated with basketball, slowly was warming up to hockey -- in large part because of the high school team’s amazing run of dominance. 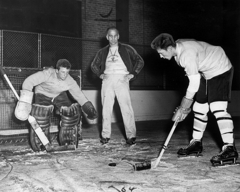 Eveleth had capped undefeated seasons with state championships in 1947 and ’48. The team’s unbeaten streak had spawned a party scene that reached the height of euphoria each spring during the state tournament at the St. Paul Auditorium. 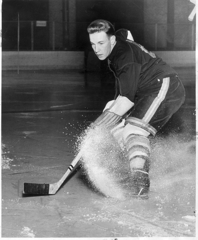 Eveleth forward John Mayasich sat uncomfortably in the penalty box late in the third period of the 1950 state championship game, realizing Eveleth’s preplanned victory celebration -- including a parade through the center of town -- was in danger of being canceled. 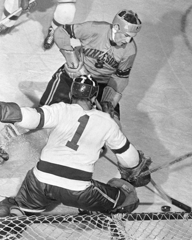 Williams and Eveleth were tied 3-3 with just a few minutes remaining as Mayasich watched the clock drag in what seemed like slow motion. 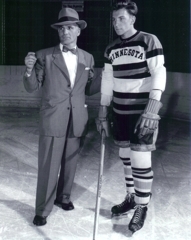 Eveleth never was involved in close games like this. The Golden Bears had won their previous eight state tournament games by a combined score of 57-4. Now, their star player had been whistled for tripping. “I never took penalties,” Mayasich said. For the first time, the notion of actually losing a game popped into Mayasich's head. 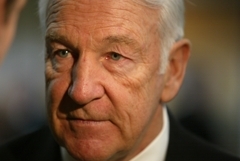 “I think of that game and how terrible it would have been had we lost,” Mayasich said. “It’s the only game I remember that could have gone either way. Mayasich stepped out of the penalty box and into the history books, scoring with 20 seconds remaining to give Eveleth its third straight unbeaten season. 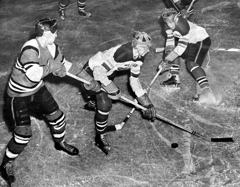 Eveleth fans partied like never before that night, and the next day snowplows, fire trucks and police cars escorted the team back into town. 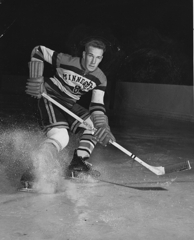 Fans lined Eveleth’s downtown streets to offer their congratulations. 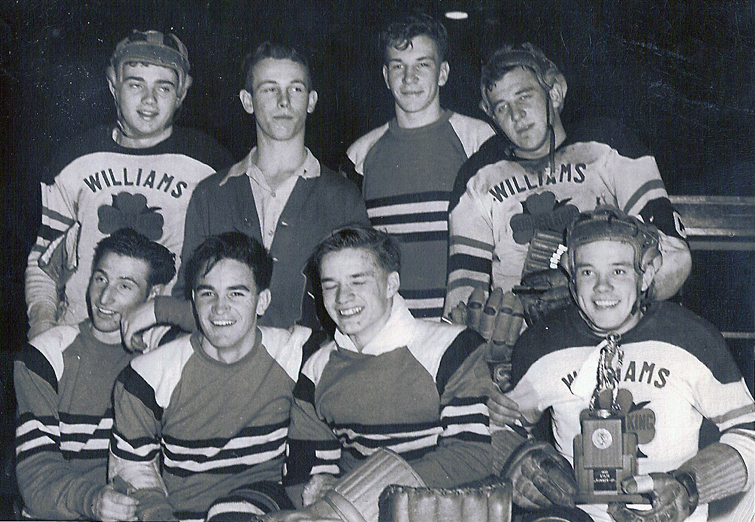 Eveleth met Williams again in the quarterfinals of the 1951 state tournament. 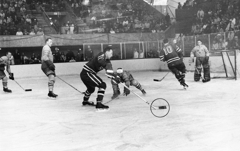 The outcome was hardly dramatic this time, however, as Mayasich scored four goals in the first period on the way to a 12-1 blowout. Mayasich scored a stunning seven goals in Eveleth’s 11-5 rout of Minneapolis Southwest in the semifinals. 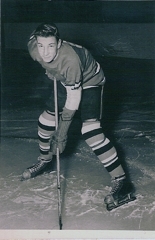 In the championship game against St. Paul Johnson, Maysich scored all of Eveleth’s goals in a 4-1 victory. 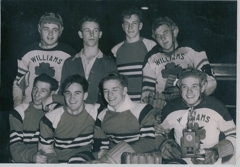 He finished with a mind-numbing 15 goals and 18 points in the three tournament games as the Golden Bears completed yet another undefeated season. 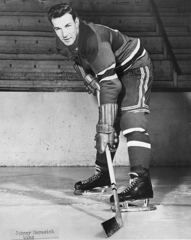 The 6-foot, 175-pound Mayasich, the 10th of 11 children, was a superb skater and stickhandler who was used mostly as a forward, but he was equally comfortable playing defense. An exceptional athlete, he was the quarterback of Eveleth’s football team and ace pitcher during baseball season. He also dabbled in the high jump, where he could clear six feet and reached the state meet as a senior. 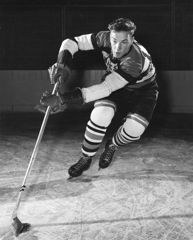 In hockey Mayasich had a booming shot, and he was just as effective on his backhand as he was his forehand. Mayasich’s name remains synonymous with the state tournament, as he holds 10 records, including those for most career points (46), career goals (36) and hat tricks (seven). He also holds single-game records for points (eight) and goals (seven). 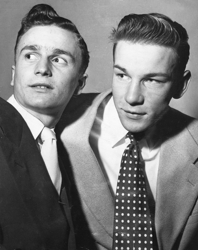 Mayasich went on to stardom at the University of Minnesota, where he scored 32 goals in 26 games as a freshman and finished his four-year career with 144 goals and 154 assists in 111 games. A three-time All-American with the Gophers, Mayasich’s 298 points remains the most in program history. 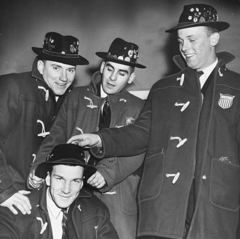 Maysich played on the 1956 U.S. Olympic team that won the silver medal in Cortina d’Ampezzo, Italy and was a stalwart on the 1960 Olympic team that won the gold medal in stunning fashion in Squaw Valley, Calif.
“He was the best player I ever saw,” said Jack McCartan, the St. Paul native who was the goaltender on the 1960 Olympic team. 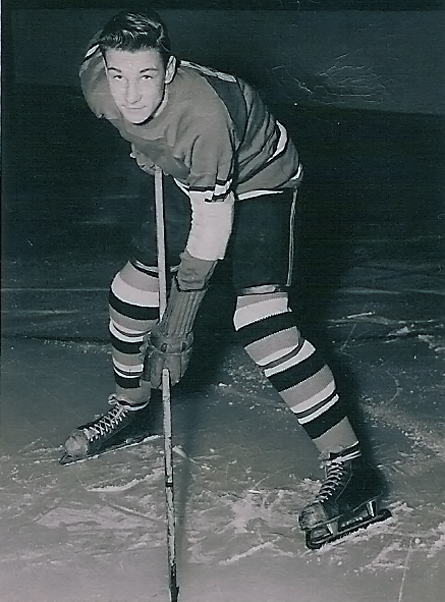 Inducted into the U.S. Hockey Hall of Fame in Eveleth in 1976, Maysich played defense for the amateur Green Bay Bobcats for 13 seasons in the old United States Hockey League. 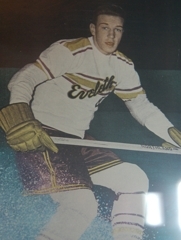 Mayasich, who retired from hockey in 1971, lives in Eveleth. Want more Top 100? 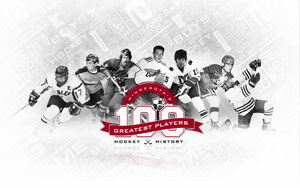 Get the Top 100 desktop wallpaper and two others here.